In efforts to identify violators and keep roads safe, the Dubai Police have recently called on the public to report traffic law violations by using the ‘We are All Police’ program. According to Brigadier Saif Muhair Al Mazroui, director of Traffic Department of Dubai Police, the ‘We Are All Police’ initiative (through the app and phone calls) has helped the police to record a total of 101,505 violations since the start of this year, of which 42,303 have been reported by the public. In 2016, there were 80,710 violations during the same period, of which 38,163 were reported by the public. Meanwhile, this year, as many as 20,561 violations have been reported via the ‘We are All Police’ window in the Dubai Police app. Brigadier Al Mazroui noted that the initiative intends to service people who find themselves exposed to situations they would wish to report as they are often victims of aggressive driving that exposes them to risk. The app also relies on incidents captured on surveillance cameras across the emirate. Out of the 101, 505 violations this year, 19,375 were recorded by surveillance cameras that are monitored by officers. When reporting a violation, the public may also provide details such as the location of the incident and plate number of the offending vehicle. He continued that several members of the society see what is happening on the roads or are annoyed by drivers whose reckless driving might endanger the lives of other road users, noting that this program provides drivers a chance to keep track of each other to lead to better driving attitudes on the roads. On the other hand, any police officer can also use the app or call the command center to report violations. In that case, the fine will be issued right away without verification. ‘We are All Police’ window was launched in 2014 in the Dubai Police app and since then has been used by more and more people to report traffic violations. However, the police prohibits the use of the app in recording violations while driving. The fines, which can be recorded via the app are, parking on the pavement, parking behind another vehicle and blocking its movement, parking in prohibited areas, and parking in front of fire hydrants or in spaces allocated for people with special needs and ambulance parking. To report traffic violations, the general public should first register with the ‘We are All Police’ program via Dubai Police’s website. They can then report any incident through the police app or by calling either of the following numbers: 901, 8004353 or 8007777. Information regarding the violation can also be emailed to mail@dubaipolice.gov.ae. 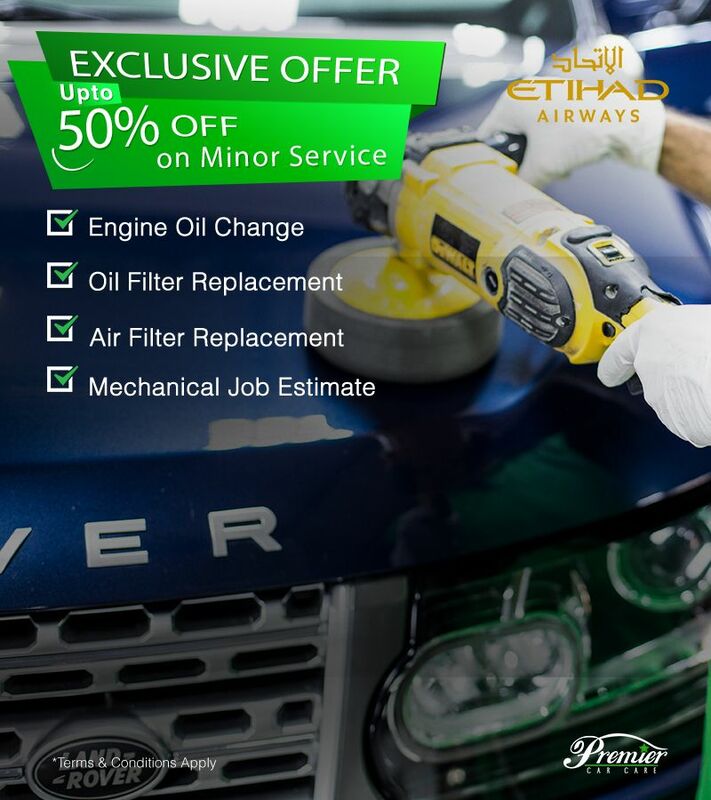 Premier Car Care is one of the leading British and German Car Service Centers in Dubai, UAE. Our offers include full car checkup, vehicle repair, and maintenance, car detailing, car window tinting and more!